The 5 Best Overdrive Pedals - Andertons Music Co. 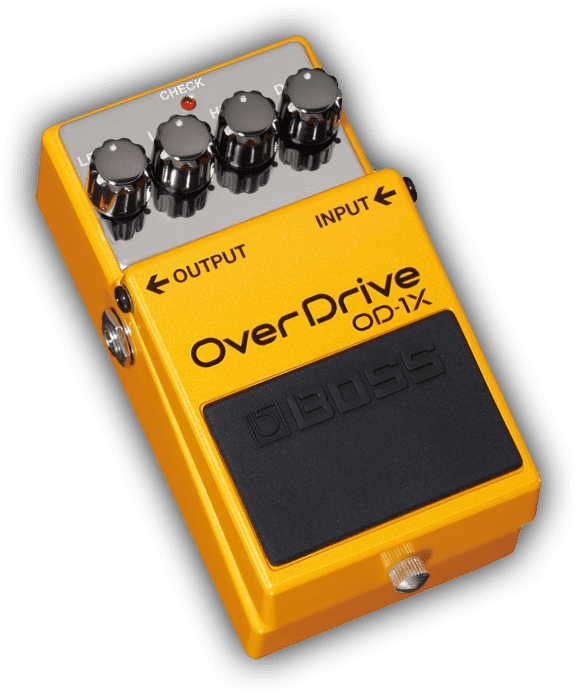 It goes without saying that every guitarist should own at least one overdrive pedal. But most of us actually own 2 or 3 and that’s perfectly ok! They all do something completely different from each other and will greatly affect how your guitar sounds. We round up 5 overdrive pedal styles that you need to have in your arsenal to cover a wide range of driven tones. Everything from the humble Tubescreamer to all-out Big Muff Fuzz. The Clean boost style overdrive is one that relies on you having a decent sounding amp to make the most out of it. The clean boost does exactly that, it pushes the volume of your guitar up to drive the preamp section of an amplifier and allows you to make the most of any tube amp. A lot of clean boost pedals will have the added option of dialling in gain as well as an EQ section which will obviously alter and colour your tone but these are loved for being transparent and simply making your guitar sound ‘better’ by improving the way the signal interacts with the front end of your amp. These can also be used in the effects loop for guitar solos because that will raise your volume without changing the tone at all by increasing the signal between preamp and poweramp! Dial this in with caution though – it could blow your speaker if set too high! The Dane on Andertons T.V. The Tubescreamer is one of the most renowned pedals in the world with a circuit that’s been copied a thousand times over and for good reason. The Tubescreamer is very versatile and depending on where you keep it in your signal chain can greatly affect your tone. It’s absolutely adored as a Solo Boost because it shelves the low-end of your guitar and boosts the mid-range to allow you to cut through a band mix. It also works when running into high wattage clean amps (as proven by Stevie Ray Vaughan) because it can push them into break up whilst retaining a clear and articulate sound. Modern Metal guitarists use Tubescreamers too! By dialling down the gain, they can use their distorted amps with a Tubescreamer to tighten the tone. The increased volume will push the preamp to drive more than before but by turning the gain down, you aren’t colouring your sound. The Klon overdrive sound is just as mystical as the Centaur found on the original pedal. It’s been made famous by players as diverse as John Mayer and Steve Stevens (Billy Idol) and is loved for its warmth and transparency. The Klon overdrive truly allows the voice of your guitar to be heard whilst driving the tone and adding saturation and sustain for expressive soloing or clearly defined rhythm tones. It works beautifully with an already overdriven amp by adding depth and sustain in spades. The simple layout on these pedals allows you to easily dial in a dirt tone that suits and most have got a dedicated Treble control that allows you to directly just how much you cut through the mix. This will also give more presence to a guitar with humbucking presence. RYRA Klone on Andertons T.V. The Big Muff is probably one of the most famous fuzz pedals around. It was designed by Electro Harmonix in 1969 and has been around in many different forms since and thankfully exists in many forms to date. Many companies have copied the circuit and changed it up for a different gain response, different EQ response and more but nothing quite beats the lovely saturation of an Electro Harmonix Big Muff. The tone knob is where most of the control comes from for any Big Muff style pedal as this will determine how woolly or defined your sound is and can take you from doomy sub-harmonic tones to searing high-end. Thick fuzz tones have defined the rock era in many ways with users as different as David Gilmour, The Smashing Pumpkins and Dinosaur Jr.
Shop Big Muff Fuzz Pedals Now! Big Muff Pedals on Andertons T.V. Amp-style overdrives do exactly what they say on the tin. They imitate the tonal properties of a specific amplifier. Marshall-style overdrives are incredibly popular (like the Plimsoul and JHS Angry Charlie for example) because you’ll be able to get that gritty mid-range heavy Brit sound from any amp. Some amp-style overdrive pedals can actually replace the preamp in your circuit completely like the Victory V4 pedals which are tube-driven preamps. You can run a preamp pedal between the preamp and power amp of your amplifier to completely overhaul the sound of your amp to be that of the amp-style overdrive! Neat huh? The Plimsoul is a slightly different beast in this list because it has got two gain stages which changes it from being a single use clean boost style overdrive to an all-out, Marshall-style overdrive with a gorgeous mid-range and spanky response. Victory preamp pedals on Andertons T.V.